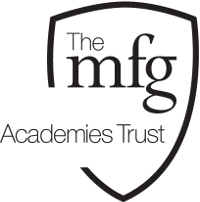 The MFG Academies Trust presently comprises of 2 Secondary schools and one Junior school located in Kirklees Local Authority. The MFG is an 11-18 secondary Academy of 1600 students including a Sixth Form of 400 students. It has been rated Outstanding by Ofsted since 2008. It became a Convertor Academy in April 2011. Its Principal, Lorraine Barker, became an NLE in 2009 and has worked with several other schools in the Yorkshire and Humber area since then to help them improve. In October 2013, The MFG became a MAT and Sponsor to enable it to sponsor Colne Valley High School (CVHS), an 11-16 secondary school of 1,200 students, to become an academy. This was achieved in September 2014. In April 2015, The MFG Academies Trust sponsored Marsden Junior School (MJS), a 7-11 Junior school of 175 pupils, to become an academy. Marsden Junior School is in the “Pyramid” of CVHS.